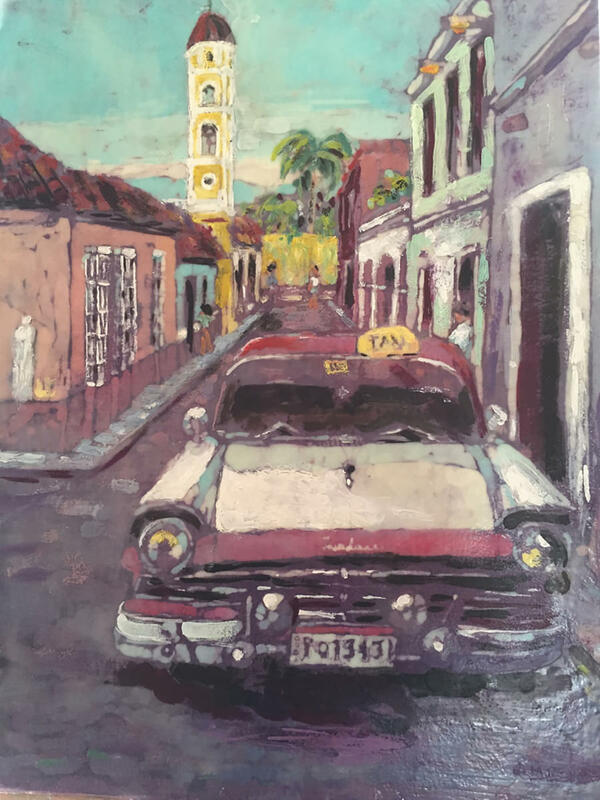 Historic architecture inspires my imagination, so when I starting doing artwork it reflected the buildings that I loved when I lived in Central America and the Caribbean. I took up batik as my media by accident when students in the school where I was teaching in St. Croix, U.S.V.I. wanted to do batik for an activity period, and I was the only teachers who had ever done any, and the fact that I hadn’t liked batik, didn’t stop their enthusiasm. So I spent a weekend brushing up on the craft, and I was converted. 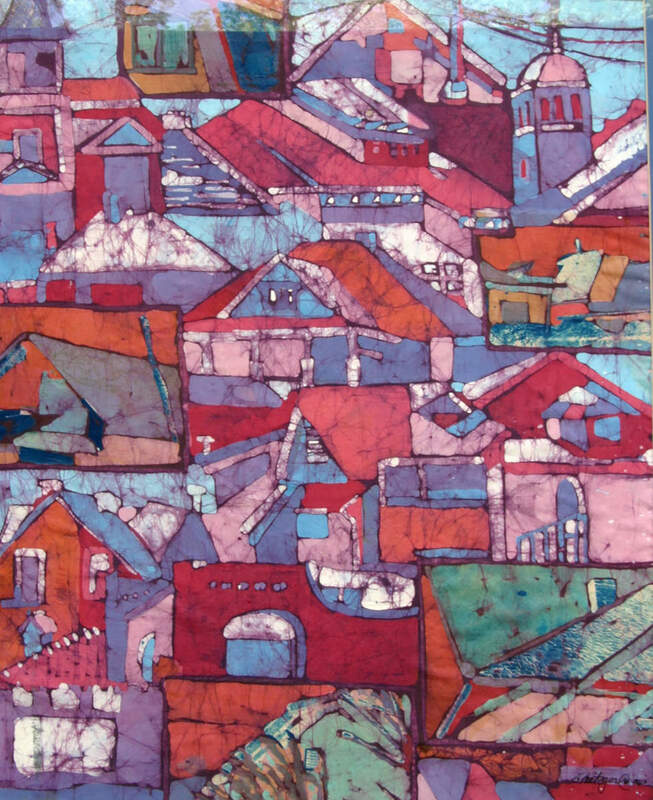 I find batik is the perfect media to express the character of old architecture, especially buildings that are made of stone or stucco. The natural cracking that occurs in the wax while batiking reflects the wear and tear on old walls. It also provides an element of surprise when the piece is finished. And since the fabric is dyed, I have a choice of which side of the image I wish to frame. Sometimes I sandwich the batik between two pieces of Plexiglas so I can see both sides. Other times I fuse them to heavy acid-free paper or buckram so they can be framed like watercolors under glass. Recently I started enhancing and preserving them under a coating of encaustic wax. I want my pieces to show the beauty of the old buildings in places that I have lived or traveled, using images and colors that I find pleasing and peaceful to the eye. 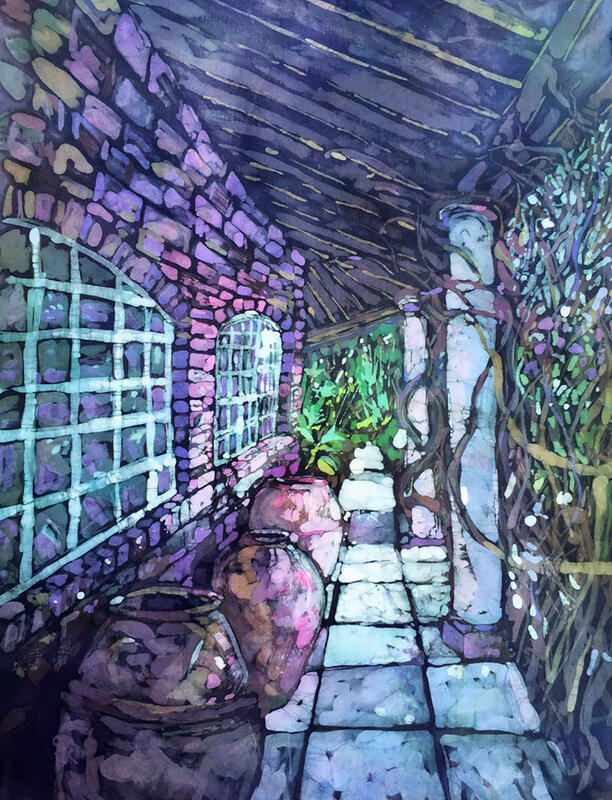 Susan Metzger is an artist whose passion is Batik. She started creating with this ancient resist technique that employs fabric, dyes, waxes and lots of patience, after leaving Honduras and moving to the US Virgin Islands. Historic architecture was her subject matter, and living in these two places she was surrounded by it. After moving to western Colorado, she found her subject matter by traveling. 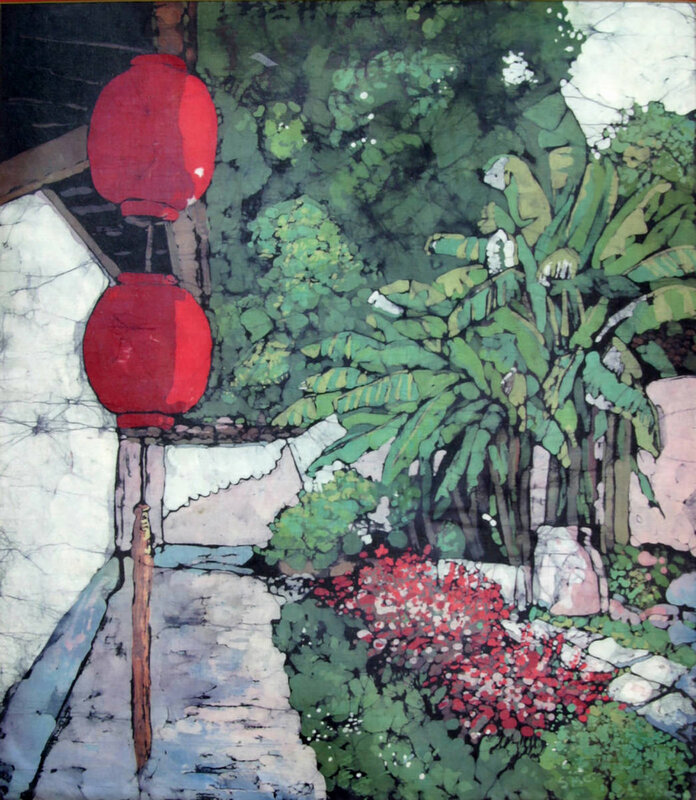 In 2003 she was able to study in Indonesia, the home of fine batik, as part of her master’s program. 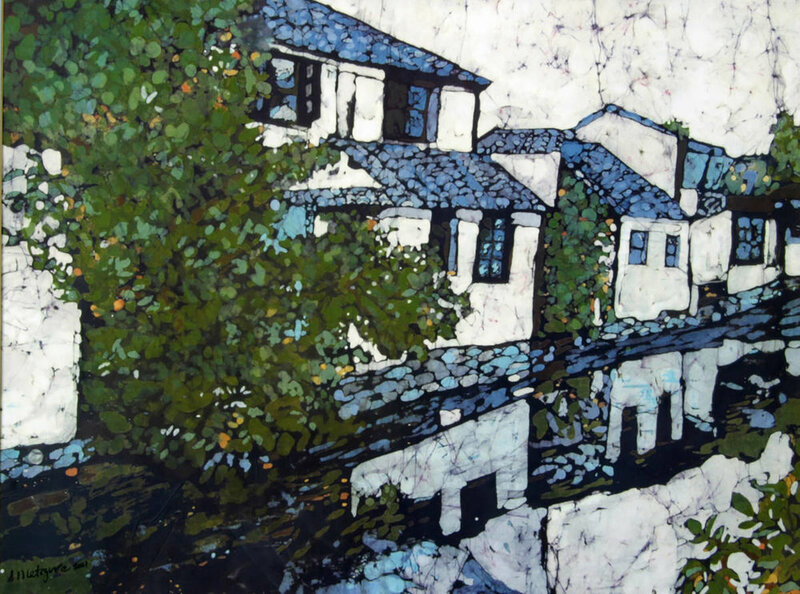 She is a member of the International Batik Guild and has exhibited her artwork at the Allied Artist of America show and all over the United States and Caribbean. Her work is presently shown at The Blue Pig Gallery in Palisade, Colorado and the Encaustic Institute in Santa Fe. New Mexico.